Learning how to create users and groups. Often, a number of users must have the same access to a folder: In this case, instead of granting permissions to each user individually, we will put them into a group of users, and then we will grant permissions to the group just once. Cabanyal Fruit S.L. is a fresh fruits trade company. They buy crops still in the orchards. Later they harvest the fruit, store it and sell it abroad. The users of the other departments can list the files in the public folder, and read them but they can not modify , create or delete files in it. The department workers can list the files in the shared folder, open and modify them but can not create and delete files in this folder. The heads of department can list, read, modify, create and delete files in the restricted folder of his/her department. The other department workers can not access the folder. They can not perform any operation in the folder files. Create the folders ( a folder public, shared, restricted for each department). The main company folder must be /home/cabanyal_fruit. 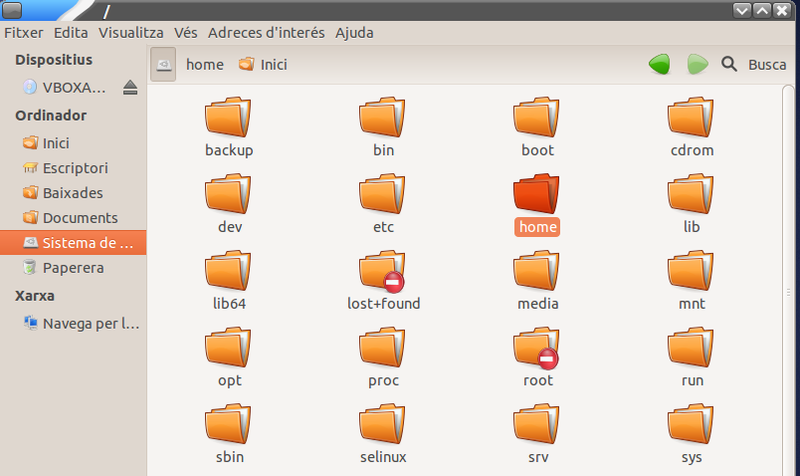 To place yourself in /home, start the files browser Nautilus in your personal folder, and select Equipo (spanish version), o sistema de arxius (valencian version) in the panel on the left. Now you are placed in the folder /home. Write sudo nautilus and press the enter key. Then you are asked to enter your user password. 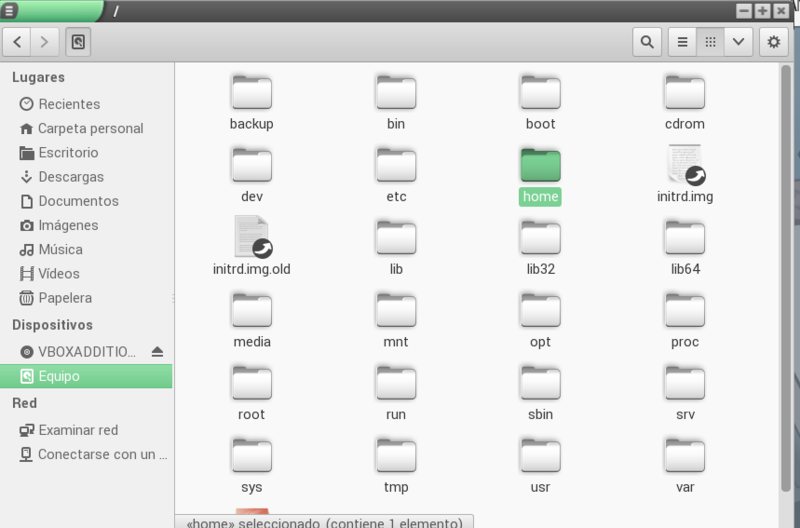 This way you are runing Nautilus in admin mode. 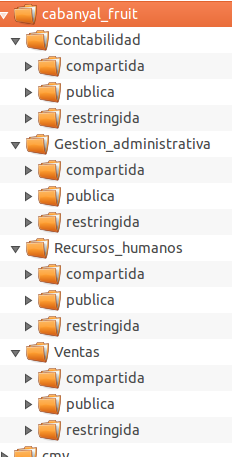 Create the second level folders inside Cabanyal_fruit: Contabilidad, Gestión_administrativa, Recursos_humanos y Ventas.